What Is My Pet Trying to Say? Most pet owners have had an experience like this one: their dog barks or growls playfully and then looks directly at their pet parent with a gaze that says, "I want…." And then they do it again. Bark, walk, stare. "What do you want?" The pet parent wonders. Does the insistent pet want food? A walk? A trip outside to go to the bathroom? Unfortunately, the answer is never clear and, try as they might, our pets can't just tell us what exactly they want. This can leave us feeling helpless, confused, or, in some instances, entertained by our pets' whacky antics. While this isn't an exhaustive examination of pet communications, it will hopefully shed a little light on how our pets communicate with their people and other pets. Our pets are never shy about trying to communicate their needs to us. And they're often less than subtle about their demands – but since they can't just say: "Hey, human, I would like to go for a brisk walk," we often end up guessing until they're pleased with our response. The more time we spend with our pets and the better we get to know them, the easier it gets to read their behaviors and react appropriately. Here are a few different ways our dogs and cats communicate with us. Most dogs, however, use non-verbal behaviors as their primary form of communication. At first, this may seem surprising, but when you really think about it, our pups regularly communicate with us without so much as a yip. 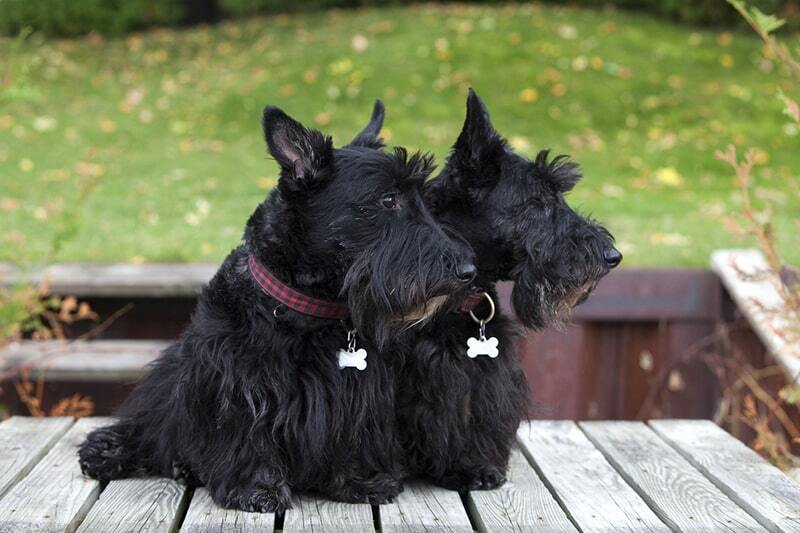 Our pooches use eye contact, facial expressions, and different postures to tell us things. Creating distance – These behaviors are protective and involve showing teeth, lunging, and snapping. Expressing fear – Dogs show us they are scared or feel the need to protect themselves by tucking their tail between their legs, crouching or backing up, urinating, scratching, or shaking. Communicating joy – These behaviors are the ones every pet parent loves to see, including tail wagging, licking, jumping, and whole body movement. Between the verbalizations and nonverbal behaviors, our pooches have their own unique language that they use to communicate with their people. They are also good at understanding the unique ways their people communicate with them. Many pet parents probably laugh at this notion, but, keep in mind, that being good at understanding and actually obeying are two very different things. That said, our dogs do have the ability to understand our silly voices, social cues, and gestures, especially our body language. 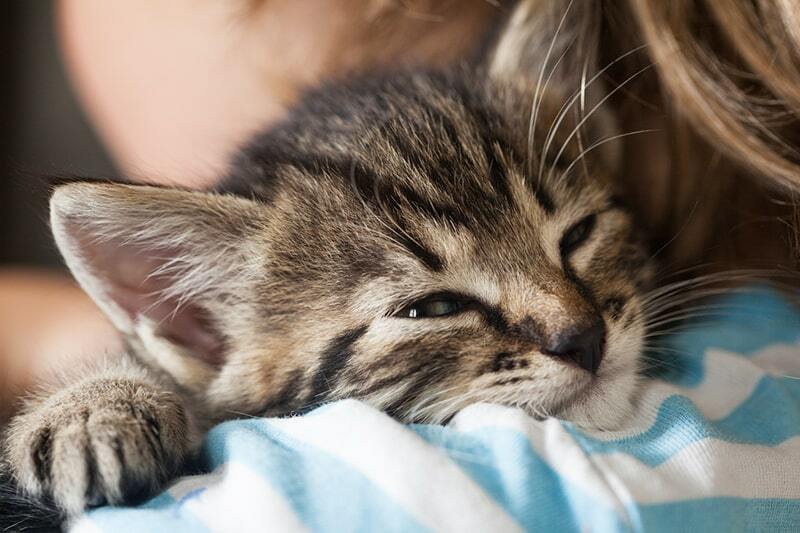 Purring – Sounds like a no-brainer, right? Well, kind of. Cats do purr when they are happy, but that's not all. They also purr when nervous, injured, or hungry. Chirping – This is a short, musical sound that cats mainly use to communicate with their offspring, but they will also use it with their pet parent. Eyes and pupils – If your cat has dilated pupils, it means they are excited, nervous, or scared. Conversely, if your cat blinks at you, it's a sign of affection and trust. Ear position – The positioning of your cat's ears can reflect how they feel. Forward-pointing ears indicate a state of alertness. Ears turned to the side suggest contentment. 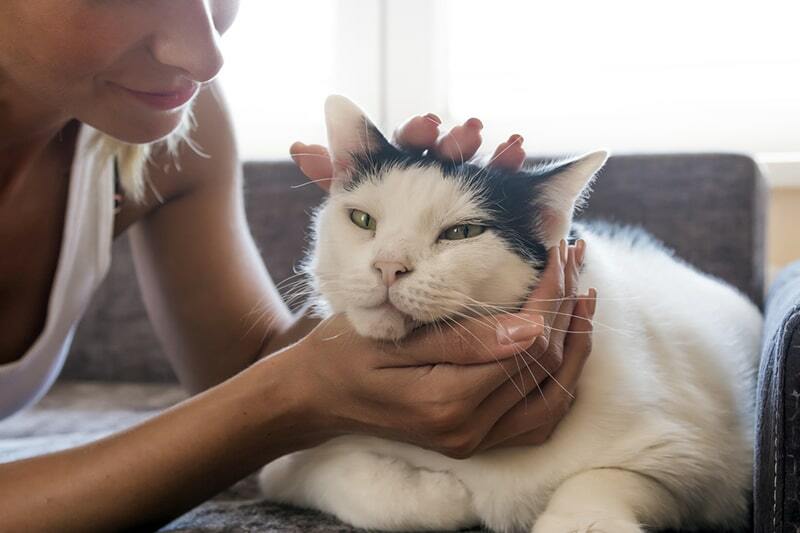 Flattened ears mean your cat is scared or irritated. Tail – A cat's tail is a fairly reliable indicator of their current state of mind. A relaxed, upright tail indicates contentment. A stiff tail suggests uncertainty. If a cat tucks their tail, it can mean they are scared. And when a cat puffs up their tail, they are probably intimidated and trying to look bigger than they actually are. Belly display – By presenting their belly, your cat is saying two possible things: 1. They trust you and wouldn’t mind a belly rub; 2. They feel threatened and would like to use all four paws in case of an attack. If you ever watch two pets interact, you know that they are communicating with each other. These communications come in subtle and obvious ways. Sometimes they communicate with pets in the same way as they do people, and other techniques are for animals only. The way dogs communicate with each other isn't all that different to how they communicate with people. If a dog growls at a person or another dog, it’s fairly obvious that the growling dog is sending a message. However, dogs can also communicate with each other through gustatory communications, which means through smells and tastes by emitting pheromones. A dog can actually produce different pheromones based on their mood, gender, and age. And, of course, some dogs urinate on vertical surfaces as a way to communicate and mark their territory. Since dogs actually have a sense of smell that is 40 times stronger than a human's, producing pheromones and urine marking are effective ways to communicate with other dogs. When it comes to communicating with other cats, our kitties rarely meow. That's right—stop the presses! Cat to cat communication rarely involves meowing. The act of meowing is actually something scientists believe evolved as cats became domesticated, meaning they meow to get their human's attention. Consider this a special bond between you and your cat. Instead of meowing to each other, cats have a variety of verbal and nonverbal communications that they use to signal to other felines. Cats will growl, hiss, spit, and yowl at each other, most of which indicate fear or anger and can be directed at people and other animals. You may have also noticed your cat making a chattering sound when they are looking at prey. The beliefs for why they do this are split. Some people believe this sound is one they make out of frustration, while others think it’s an actual attempt to communicate with the prey species. 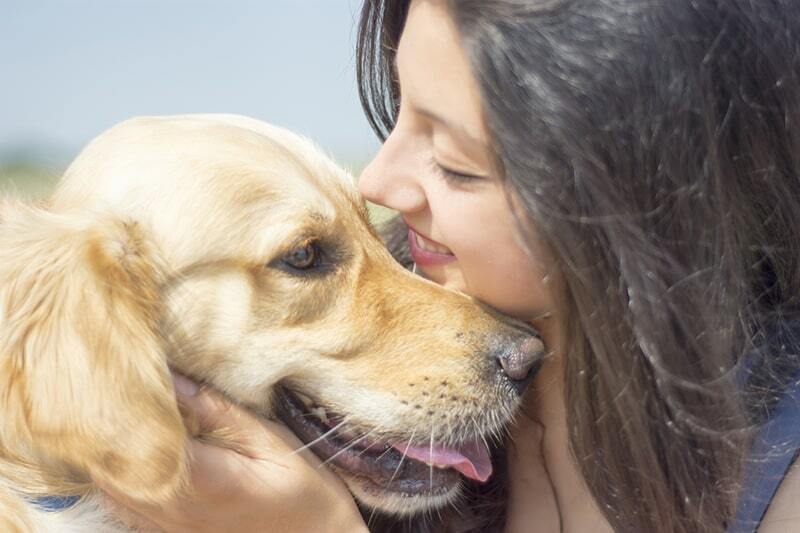 Once you understand how your pet communicates, you can better understand what exactly they want. This goes beyond food and going to the bathroom, too. Observant pet parents can tell when something just isn't right with their cat or dog and get them to the veterinarian for the care they need. Getting your four-legged pal a pet insurance plan before they indicate they’re not feeling well, however, can provide peace of mind that they’ll be covered should the need arise. With ASPCA Pet Health Insurance, you can choose the care you want when your pet is hurt or sick and take comfort in knowing they have coverage. Get a personalized quote now!